In today’s competitive business world, it has become necessary for company owners to stay on top of their marketing procedures, financial data management, and streamlining their policies and procedures for conducting business endeavors. Now more than ever it has become vital that businesses know what they’re up against when it comes to productivity and expansion. If you need help managing any of the above mentioned facets of your company, then IT services can help guide you to a better business outcome. One of the biggest benefits of IT services is the level of security that they can provide to business owners. Now that all of our information is out there for all to see through the Internet and cloud, it is essential that the proper precautions are taken in order to keep the integrity of you business intact. The best way to ensure the productivity and safety of your business is to get others involved who know more about security in today’s technological world. 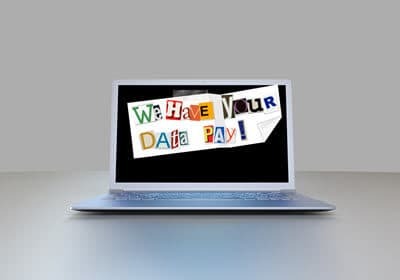 IT security services can help you avoid a malware attack that could be detrimental to the safety of your business’s private, financial information. When you outsource your IT services, it provides you with a team of experts who know the best way to keep your company’s information safe and secure. All businesses are susceptible to cyber attacks, but when you have an IT service on your side, they do the hard work for you. Network security services are designed to support businesses that range from small to large and be on call and on guard each day and every hour. IT services have what is called advanced malware protection that provides security to businesses that are least knowledgeable about how to defend themselves from the unpredictable occurrence of online security breeches. A lack of knowledge and expertise in information technology services is one of the number one predictors of whether a company is more susceptible to such attacks. So, IT services give you the added support that your company needs, and in certain cases, can replace unnecessary expenditures that are overall not providing you with any valuable amount of security. In the unfortunate event of a cyber intrusion, it is important that you know what steps to take in order to fix the current issue, and make sure that it doesn’t happen again. In these instances, how you respond to the problem can mean life or death to your company. When secure information becomes accessible to others online, it can create long-term issues for both financial and information security. Managed IT services help not only avoid malware attacks, but they can also help solve issues that have occurred because of malware attacks. IT services have access to programs and technology that will expose the threat and find the best timely response to ensure that your company’s safety is the top priority. Sometimes despite your best efforts to hire qualified staff, they just cannot compare to the efficiency that an IT service can provide. Having not just one, but a team of professionals to ensure your company’s security is an added benefit of IT services that no single employee can substitute. When you hire an IT service to oversee and ensure the security of your business, you are trusting them with a lot; it may feel as though you have given over the future of your company to a team of strangers. Rest assured that IT services are competitive on their own; the business of IT is constantly evolving and the best Managed IT services will be on top of the most current technological information out there—after all, they want your business. Maximizing your company’s security can only be achieved through the use of knowledgeable and educated IT professionals; relying on anyone else is simply asking for trouble. When you finally decide to look into hiring an IT service, you will wind up feeling protected from the threats that modern technology can present. Beyond simply furthering the level of productivity of your business, you must secure that prosperity and success; any malware threat can pose a serious setback for any competitive business. Do yourself a favor and look for IT professionals that can start the process of securing your business today.